Stone Restoration Los Angeles: What Can We Do for You This Summer? What Can We Do for You This Summer? With spring slowly transitioning into summer, you’re probably starting to plan some summer gatherings at your home. Perhaps you enjoy having your loved ones over for a big barbeque every June, or maybe you have a backyard pool that everyone loves to cool off in after dinner. However you choose to celebrate during the summer, it’s important to ensure that your home is both welcoming and beautiful for your guests. 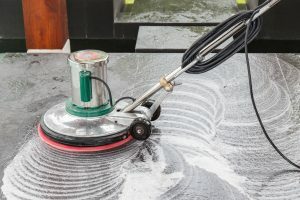 In today’s post, we’ll provide you with information about our stone polishing, sealing, and cleaning services that can help you achieve the sophisticated and elegant look your home deserves. Concrete & Marble Transformerz is proud to be Los Angeles’ Top-Rated Local® stone restoration company. Whether you need thorough floor cleaning, concrete polishing, granite crack repair, or another stone restoration service, our specialists can provide you with lasting solutions at an affordable price. Get in touch with us today to learn more, and continue reading below to find out more about our services! 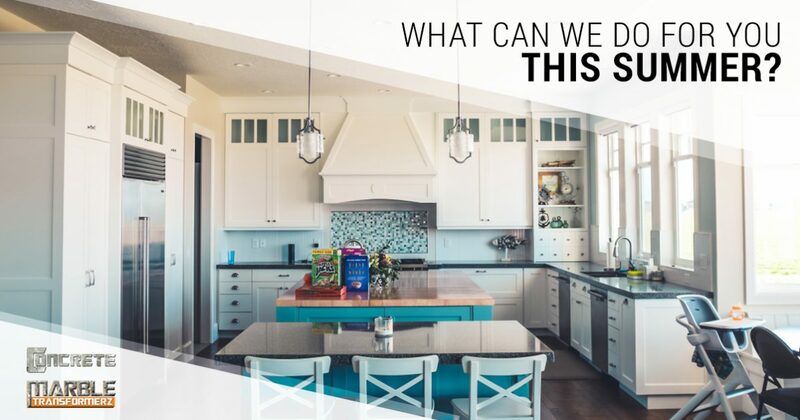 Unlike wood, tile, and other materials with which you can furnish your home, stone surfaces require delicate and careful maintenance in order to look their best during the years to come. Granite and marble are the most common furnishings we polish, though we do provide concrete polishing for customers who have chosen to install concrete in their garages, kitchens, or backyards. We utilize state-of-the-art stone polishing technology to provide our customers with glossy, smooth finishes that are indistinguishable from newly installed stone surfaces. Your floors are easy to forget about, but they can significantly detract from your home’s decor if they’re dirty, cracked, or stained. It’s important to maintain a clean environment in your home, and this is particularly true when you’re planning to host a party. The last thing you want is for your guests to have second thoughts about eating the food you’ve provided, so call our restoration company for floor cleaning before your next gathering! Granite, marble, travertine, concrete, and other surfaces that Los Angeles residents often use in their homes are porous, meaning that they can absorb liquids and other substances without a protective barrier. Stone sealing the process of applying a clear, protective substance to a surface in order to prevent water, grease, and other liquids from damaging it. Many stone sealants have a glossy finish, while others have a clear finish that won’t affect the appearance of your natural stone. If you’re planning to have your loved ones over for a wine tasting or a backyard barbeque with little ones, then you’ll definitely want to invest in stone sealing just in case a spill occurs. Even when you’re not regularly hosting parties at your home, stone sealing is one of the best ways to protect the beautiful stone surfaces in your home, so get in touch with us to request a free stone sealing estimate today! We hope that this post has helped you to understand what our restoration company can do for you this summer and throughout the year. Make sure to check our blog frequently, as we regularly update our archives with posts about floor cleaning, stone sealing, and other stone restoration topics. Get in touch with a member of Concrete & Marble Transformerz today for a free estimate!